Why You Need the Top Lawyers? Finding legal representation after a personal injury in New York City is not always easy. Often times, victims of personal injury; work accidents or other situations end up feeling forgotten. Big business and insurance companies often forget about the injured person and leave them forgotten. In many cases, there is no alternative but legal action through a New York personal injury attorney. Taking this step is often scary. Joining together with an experienced New York personal injury lawyer, from the beginning of the situation (just after the accident) is incredibly important and is the best bet at getting the compensation you deserve for your pain and suffering. A good New York personal injury lawyer will protect your interests while holding guilty parties responsible for the pain and suffering you are going through. Our attorneys are experienced in all major areas of criminal and defense at the state, federal, and appellate level.  Argyropoulos & Associates, LLC has been proud to provide our clients with the highest quality legal representation when it matters most.